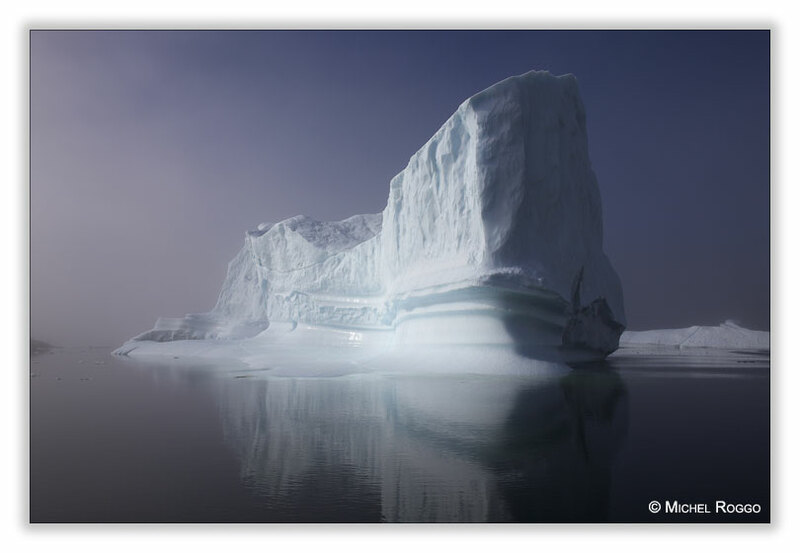 Working on meltwater on the ice cap of Greenland for The Freshwater Project, I wanted to do some work with glaciers and icebergs as well. 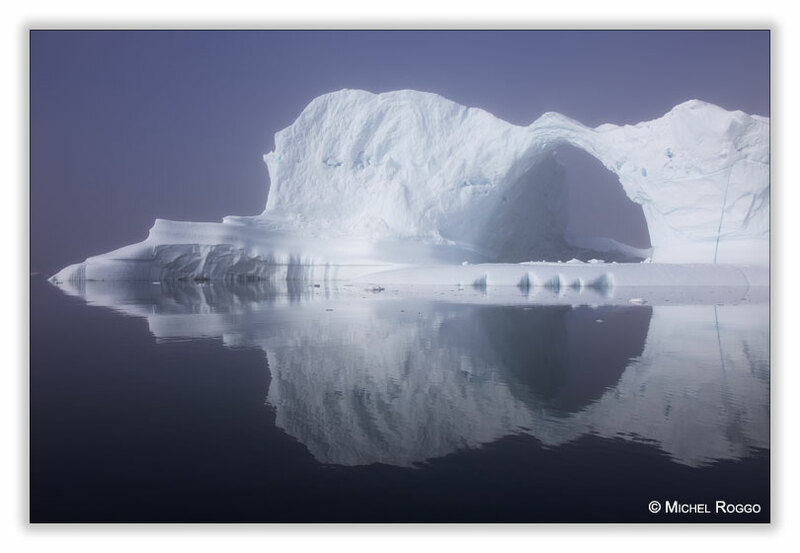 Twice I chartered a boat to photograph icebergs out on the sea, and once I just booked a standard tourist tour. 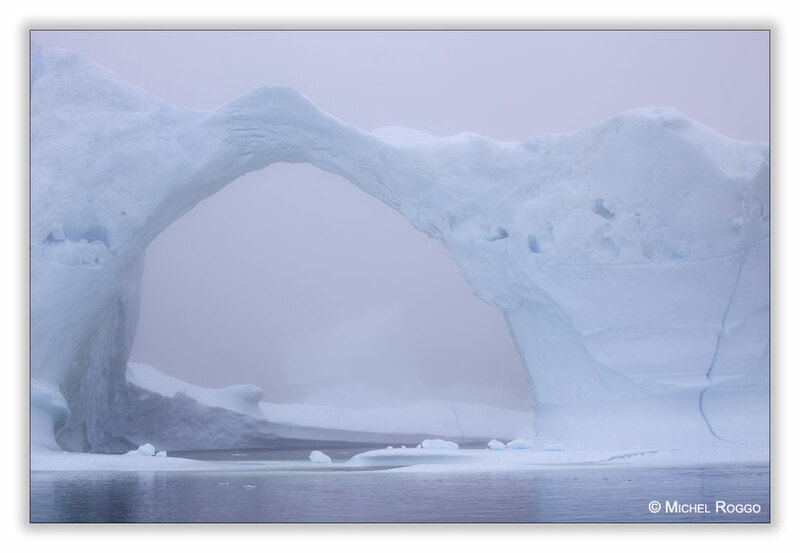 This day was very foggy, and the tourists on the boat where not happy about it. But for me it was a dream - the fog was hiding the background, and reducing the colors. Of course it was a bit cold out on the boat deck, and the tourists stayed in the cabin for most of the time. But for a photographer it was a perfect day.